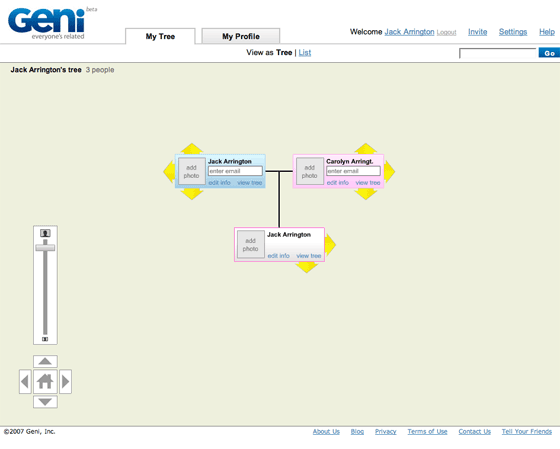 David Sacks’ new startup Geni, which we wrote about last week, has gone live. The initial product is a very easy to use Flash tool to create a profile and a family tree – including siblings, spouses, cousins, aunts and uncles, and their families. When you add a relative, there is an option to add their email address and have the tree sent to them as well. They can add their own data, extending the tree, and Geni will launch tools to merge overlapping trees. There is more information on the About page. The company has raised a round of financing from Founders Fund. 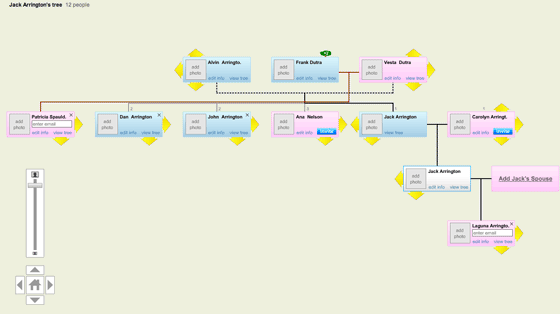 I’ve started my family tree and have added a few email addresses. It will be cool to see my relatives further expand the tree. And it will be really interesting to take a look at Geni a few years from now, as more and more trees are merged together. Update: Geni is viral. In my test tree, I added my dad’s email address but didn’t otherwise mention the site to him. I just went back to Geni and noticed the tree has been extended significantly (see image below). And now some of those people have been emailed as well.